Look out! 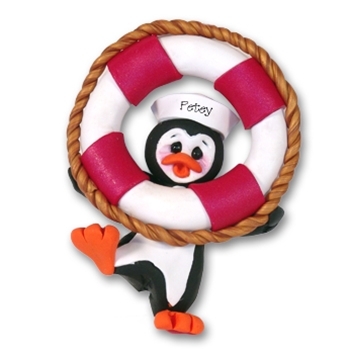 Here comes Petey Penguin! he is prepared and ready for a swim at the beach. This ornament is the perfect personalized ornament to for any one to remember their vacation on the water or a cruise.